****Time Change**** Please note that they event has been moved from 4pm to 5:30pm. Thank you! Sponsored by the Vassar College Libraries and Russian Department. 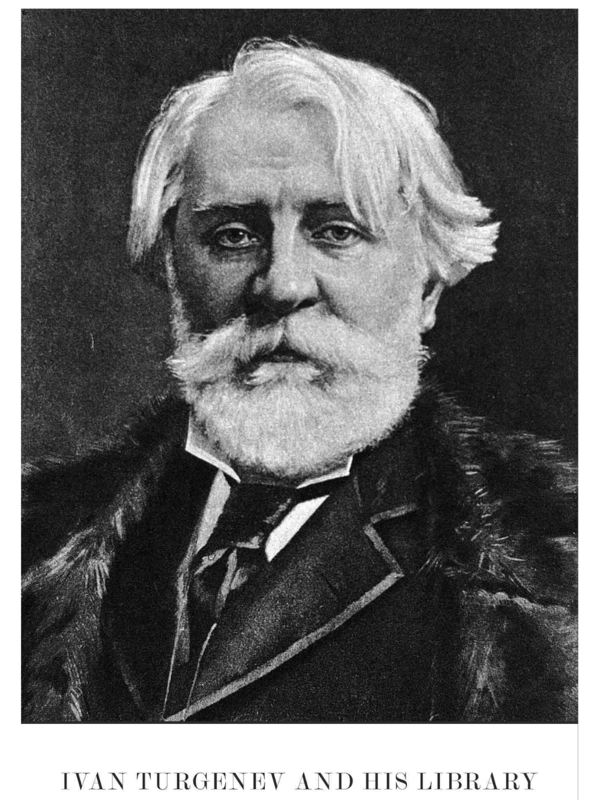 In conjuntion with the exhibit Ivan Turgenev and His Library, on view in the Main Library. The symposium will begin with a keynote address by George Pahomov, Emeritus Professor of Russian at Bryn Mawr College. This will be followed by Vassar Professor Dan Ungurianu speaking about Turgenev’s years in Baden Baden, Germany, Librarian Ron Patkus speaking about Vassar's Turgenev Library, Vassar Professor Nikolai Firtich speaking about Turgenev and Hans Christian Andersen, and Brown University Professor Vladimir Golstein speaking on the novel “Fathers and Sons. To be followed by a reception and a musical program. The musical program will feature Zack Brashear ’18, performing 19th century songs relating to Turgenev and his work, accompanied by pianist David Alpher.